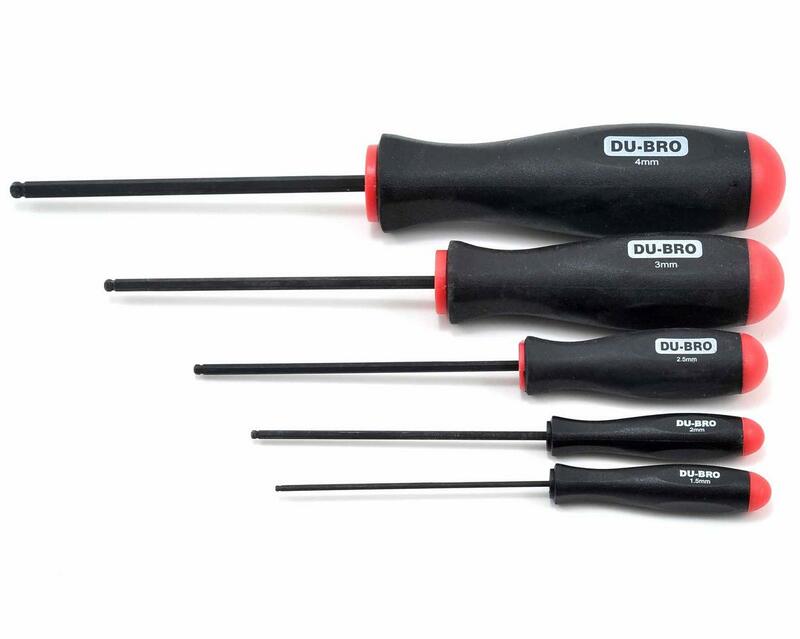 This is the Dubro Metric Ball Driver Set. The perfect tools for getting at those hard to reach places. Ball wrenches make it possible to turn socket head screws or bolts from any angle. Set includes one of each: 1.5mm, 2.0mm, 2.5mm, 3.0mm, and 4.0mm. 2 customers found this review helpful. The quality is very poor: the ball ends wear out too fast, just after several times of use. And this happens to all driver sizes. bought these about a year ago to make life easier when working on my cars. they are pretty good for what you pay for them. the ball ends fit tight enough in the cap screws. my two smallest ones are starting to round off a little, and they slip sometimes when trying to torque things down. it is nice having the ball end for off angle work and hard to reach places. 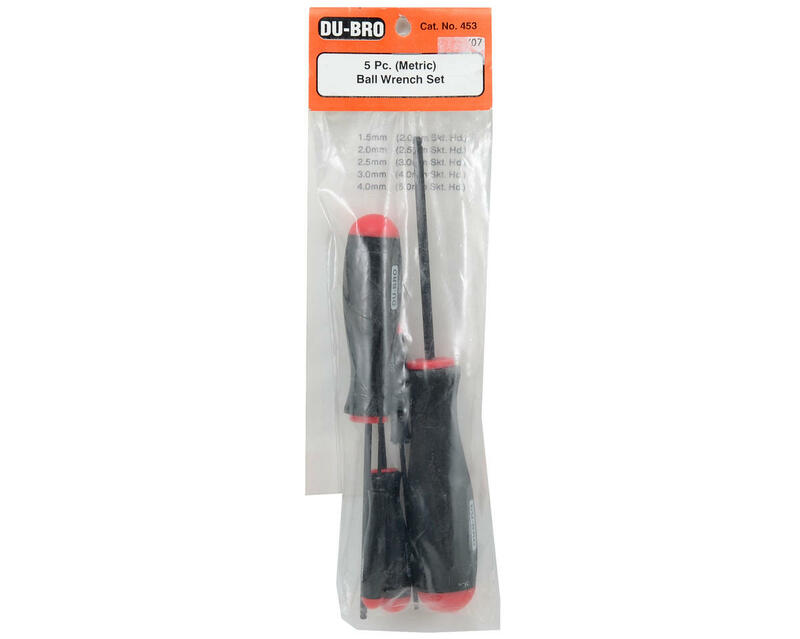 Dubro was smart when they made the handle corresespond the size of tip so you don't over tighten or shear things. Only problem is that after using the smaller ones for a while they make you fingers a little sore from trying to grip. I think next time i will go with some ball ends with larger handles and replaceable tips, for ease of grip and longevity and just use a measure of restraint when tightening. If your on a budget these work just fine. all the metric sizes you need.